We have developed a long experience in the wine industry, exporting exclusively medium-high quality wines. We select only wineries with soul that produce wines with a story to tell and express the terroir with good taste and refinement. We aim to be an extension of the wineries and not mere representatives: we require to fall in love with each of our wines, essential condition for carrying out our work with efficacy and passion. We export quality wines from unfairly unknown wineries that still have no presence in foreign markets, because of a lack of human or financial resources. There are real oenological treasures in Spain that are hidden due to poor visibility. Our mission is to open to these wineries the doors of export markets, taking advantage of synergies: with us, they can afford a fair like Prowein, a trip to Belgium or sending some samples to the United States, as the costs of the promotional activities are divided among all of them. For the importer, to be in front of a single reliable partner like us who has a varied and different portfolio to their competitors, is a clear advantage that simplifies the ordering process. There is no competition between our wineries, being that the only path to the international expansion of all of them. Our wines are not rivals but complementary. Our portfolio is diverse and representative of some of the most typical regions or indigenous grapes from Spain. 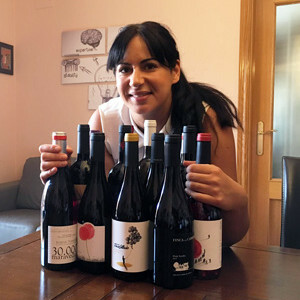 The Spanish Wine Collection exports astonishing wines that are the perfect combination between genuine identity and unmatched value for money. In addition, they are tasty for anyone, regardless of the consumer’s profile, who can be an expert or not. All that is what matters to any buyer. We are continuously searching for serious importers who are committed to collaborate with us on a long term basis. The commercial future of our wineries goes through a long and rigorous work of brand building we do together with our partners: the fluent interaction between the importers and The Spanish Wine Collection in an atmosphere of trust is a crucial point to see sales grow and maintain. We are the natural link between our wines and their customers across the world.